If you and I could sit down together for an hour, I expect we could come up with a long list of the blessings God has entrusted to us as leaders. In yesterday’s devotion, I talked about the blessing of followers, without whom leadership is nonexistent. As I think about my experiences as a leader, I am struck by the many ways with which God has blessed me: opportunity, trust, financial resources, authority, freedom, vision, wisdom, wise advisors, faithful colleagues, etc. God has also blessed me with power. Now I realize that can sound bad, as if I’m boasting or claiming for myself something that is not mine. Leaders, especially Christian leaders, can be pretty squeamish about admitting that they have power. Several years ago, I helped oversee a survey of a hundred influential Christian leaders. Many were CEOs of major companies, successful entrepreneurs, or respected leaders in business, education, or government. One part of the survey asked the leaders about power and how they thought about their own power. Many were reticent to admit that they had much power. Others acknowledged it but sought to minimize their actual power. Yet these were, in truth, some of the most powerful people in the world. I haven’t quite figured out why we who lead may be reticent to admit that we have power, though I expect it has much to do with the social context in which we find ourselves, not to mention a lack of understanding of power. If you’re looking for an excellent study of power from a Christian perspective, I would highly recommend Playing God: Redeeming the Gift of Power, by Andy Crouch (IVP Books, 2013). In this book, Andy offers a “deceptively simple” definition of power. It is “the ability to make something of the world” (p. 17). “Power,” he writes, “is simply (and not so simply) the ability to participate in that stuff-making, sense-making process that is the most distinctive thing that human beings do” (p. 17). In this sense, almost every human being has at least some power. Those in positions of leadership have quite a bit of it. As you can tell from the title of Andy’s book, he sees power as a gift from God. In fact, his chapter entitled “Power is a Gift” begins with this assertion: “Power is for flourishing. This means power is a gift worth asking for, seeking and – should we receive it – stewarding” (p. 37). If we were to use the language of Genesis 12, we would say that power is a blessing, something good (at least in some cases) given by God. It is given to us so that we might steward it well, which is to say, so that we might bless others with it. I realize you might be uncomfortable saying, “I have been blessed with power.” But, I believe that until we can acknowledge this particular blessing, we’ll have a difficult time stewarding it well. Moreover, when I assert, “I have been blessed with power,” I am implicitly admitting that it is not really mine. I don’t own my power. It isn’t really mine. Rather, it has been given to me by the all-powerful God so that I might use it well for his purposes, and his purposes include blessing others and, ultimately, the whole earth, as we see in Genesis 12. Let me encourage you to consider prayerfully whether God has blessed you with power, and, if so, how you might use it to bless others. And if you’re looking for excellent biblically based wisdom on power, I highly recommend Andy’s book Playing God. How have you been blessed with power in your life? What kinds of power has God given you as a leader? In what ways do you use the power you’ve been given to bless others? Gracious God, all-powerful and loving Lord, I thank you today for your power and glory. All power in heaven and earth belongs to you and comes from you. Thank you, Lord, for entrusting me with power. I thank you for power I easily take for granted: the power to put on my shoes each morning, the power to carry my briefcase, the power to communicate digitally with my children. I thank you in particular for the power you have given me as a leader: the power to shape the work of the De Pree Center, the power to help leaders flourish in their life and leadership, the power to help people grow in their knowledge of Scripture, the power to support your work at Fuller Seminary. Help me, Lord, be a faithful steward of the power you have given me. May I receive this blessing with open hands and an open heart, so that I might bless others. And may it all be for your glory. Amen. 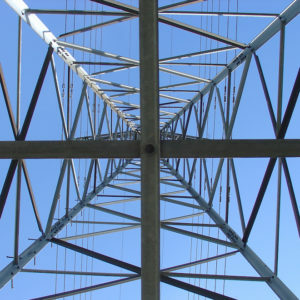 Photo Credit: “Power Transmission Tower from Below” – CC by ZeroOne. This post originally published on September 16, 2015.